Frogbit is a popular perennial plant used in ponds that can be planted at the bottom of the pond or left floating. Its leaves are often floating on the water surface like in the picture above and they come in oval like shapes. When mature, leaves can grow up to 3 inches wide and are its flowers are white usually with 3 petals and 3 sepals. The roots on the Frogbit provides a perfect habitat for small invertebrates, which in turn provide food for fish in the ponds. In addition, these plants help keep the water clean by reducing algae and contributing to the natural ecology of the pond. 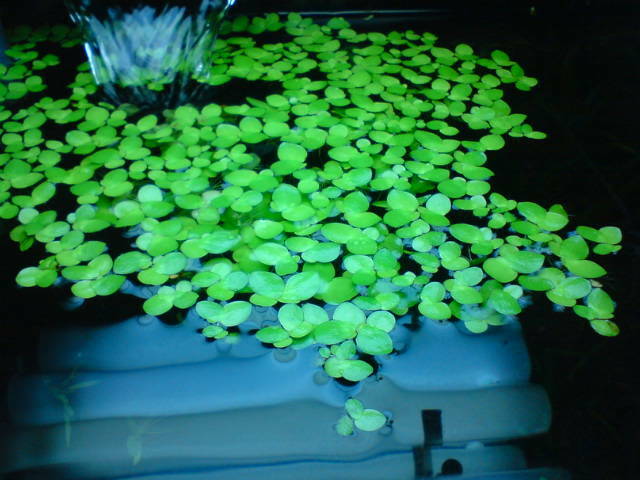 Below is a video of Frogbit in an aquarium environment.